Oracle bone scripts in the Yinxu Museum in Anyang. The Shang Dynasty (1600–1046 BC) was the second of the three ancient Chinese dynasties. It was preceded by the Xia Dynasty and succeeded by the Zhou Dynasty. The Shang Empire spread along the Yellow River Basin primarily. The Shang capital was Anyang. It was the first dynasty with written records — inscriptions on bones and bronze objects. The Shang set the tone of culture for the later eras with dynastic succession, the political philosophy of the Mandate of Heaven, sophisticated craftsmanship as seen in their bronze works and silk industry, the character writing system, and other ways. 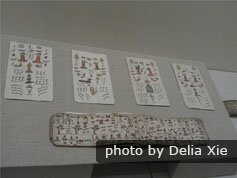 They Shang invented writing in the form of pictograms and left much written records. They moved the capital five times. The last location was Yin (modern-day Anyang). Most of the information we know about the Shang Dynasty comes from the oracle bones found in Yin. The Shang Dynasty produced fine bronze pieces. Women played an important role in their society. Modern historians generally date the beginning of the Shang Dynasty to be 1600 BC. They think the year 2500 described by Sima Qian is too early. When the Shang tribal leader conquered the Xia Dynasty (2070–1600 BC) territory, he founded a new dynasty called the Shang Dynasty. The Shang Empire spread to cover northern and central China during the next 1,500 years. Based primarily on Sima Qian&apos;s account, we have a picture of the Shang&apos;s history, but no one can be certain that this history is true without substantiating evidence. According to the ancient texts, when the Shang Dynasty was in decline and they became corrupt and decadent and mistreated and enslaved their people, shangdi, their supreme god, brought down the empire to replace the dynasty. It is written that King Tang of the Shang tribe (1675–1646) watched the last Xia ruler falter. His name was Jie. He lived in luxury and decadence while ruling oppressively. So King Tang started attacking the Xia Empire, and he employed wise men to help him. In the conflict, many of the Shang people also rebelled to side with the Tang, and they conquered the Shang in 1600 BC. It is said that King Tang ruled well because he lowered taxes and outlying tribes became vassals. Their territory increased so that it included territory far to the south and reached to the sea to the east. The last Shang king was named Shang Zhou. His fall mirrors the fall of the last Xia emperor. It was thought he lost the Mandate of Heaven. The rulers of a neighboring tribe were called the Zhou. Like King Jie and the Xia Dynasty, he was defeated by the Zhou rulers because his own people rebelled. His own troops and slaves joined the Zhou in the final battle. The new Zhou ruler of the nascent Zhou Dynasty (1045–221 BC) was named Zhou Wu. He allowed Shang Zhou&apos;s son to rule the Shang people as vassals. The Zhou rulers also dispersed prominent Shang people to other places. The Records of the Grand Historian by Sima Qian are accepted by many Chinese as accurate history. The main source of information that we have about Han origins are the ancient Han histories. Chinese historians and archeologists tend to rely heavily on the ancient historical written texts. They point out that many written historical details are verified by modern archeological discoveries. Archeologists and historians generally try to combine the information garnered through archeological discoveries with these earliest written histories of the Han to get a better idea of the origin of the Han ethnic group. The Han people, the dominant ethnic group in China, have written histories that were written over a millenia between 0 BC and about 1,000 BC. The main ancient accounts of the Shang include the Records of the Grand Historian that were written between about 109 and 91 BC by Sima Qian and the Bamboo Annals. The Bamboo Annals were written by official historians of Jin and Wei states during the Spring and Autumn period (770–476 BC). The other source of historical information are oracle bone scripts. Thousands of bones have been found with written characters and understandable sentences, but of the thousands of characters the Shang used, the majority of them haven&apos;t yet been deciphered. Archeologists and linguists are using computers to help decipher the meaning of the writings. Scholars have been surprised about how some of the Shang writings verify certain things that were described by Sima Qian such as certain names and locations. 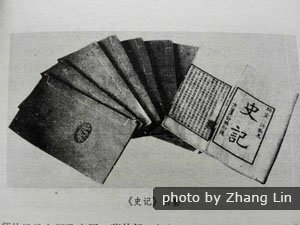 In general, scholars have said that the discovery and deciphering of the oracle bone writings have only tended to prove the veracity of Sima Qian&apos;s writings. Nothing has been found that contradicted what Sima Qian wrote. 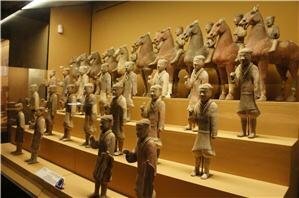 The Shang civilization developed important features of Han Chinese culture. One of these, maybe the most important for Han culture, is the distinctive and complex pictographic writing system. They used writing to record historical events, to write official signs, and for fortunetelling and prognostication. To prognosticate, they wrote on what are called oracle bones. It was a way to get information supernaturally. Some characters they used are similar to the Chinese characters that Han use today. The Shang also developed metallurgy to a high degree during the bronze age. They set the style for Han art and technical craftsmanship. Han culture has always been notable for excellent metallurgy, craftsmanship, and artistic finesse. The Shang Empire spread from the Beijing area to south of the Yangtze River. The Shang Dynasty was the peak of the slavery trade among the three ancient Chinese dynasties. The ruling class consisted of slaveholders. The government also had a tight hierarchical structure with many levels of leaders. The closer they were to the king, the higher their status, power, and wealth. Vassals could rule areas of land, but they were required to pay tribute to their king and supply troops in times of war. The Shang people believed in human sacrifice, and many slaves were sacrificied. Anyang is where the last Shang capital city was located. The Ruins of Yin in Anyang are a UNESCO World Cultural Heritage attraction and a museum area. The displays of Shang hieroglyphs trace the development of Chinese characters. In 1976, archaeologists opened an undisturbed tomb called Tomb 5. It was the tomb of Lady Fu Hao. She had a military career, and a historian named Robert Thorp said that the assortment of weapons in her tomb correlate with oracle bone inscriptions. 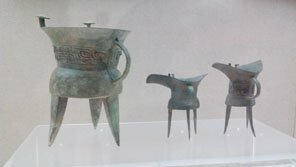 The bronze vessels and tools showed that the Shang people had a high level of bronze metallurgy. They were able to cast large cauldrons called dings. According to Han historical accounts, civilization developed around the Yellow River under the reign of the Xia, Shang, and Zhou dynasties. There is no mention of any other advanced civilization in the region. 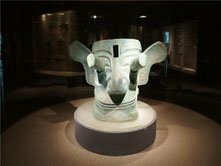 However, archaeologists have discovered other Bronze Age civilizations around the region of China such as the Sanxingdui Civilization (2000–1250 BC). They belie the traditional Han account that civilization in the region only developed along the Yellow River. The character writing system in the East Asia region can be dated back to the hieroglyphs that were used in the Shang Dynasty. You can see examples of these writings and bone and bronze artifacts in the Writing Museum in Anyang. The hieroglyphic writing system later evolved into the ideographic and partly-phonetic Chinese characters that are used today primarily in China and Japan. The characters are used to some extent also in other countries such as Korea and Vietnam. 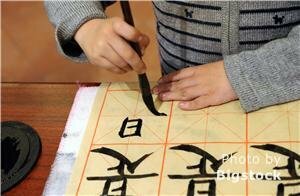 Read more about Chinese writing. 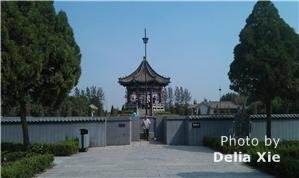 To see the Shang Dynasty sites in Anyang, we recommend the following tour. Chinese Brilliant Culture and Art Tour: a 16-day Beijing, Jinan, Tai&apos;an, Qufu, Zhengzhou, Anyang, Dengfeng, Luoyang, Xi&apos;an, and Shanghai tour. Alternatively, let us know what you want to do, and we&apos;ll tailor-make a tour and quote for you.